In 1973, Karl Ludvigsen wrote the Star-Spangled Sports Car, a ground-breaking history of a single automotive model, the Chevrolet Corvette. 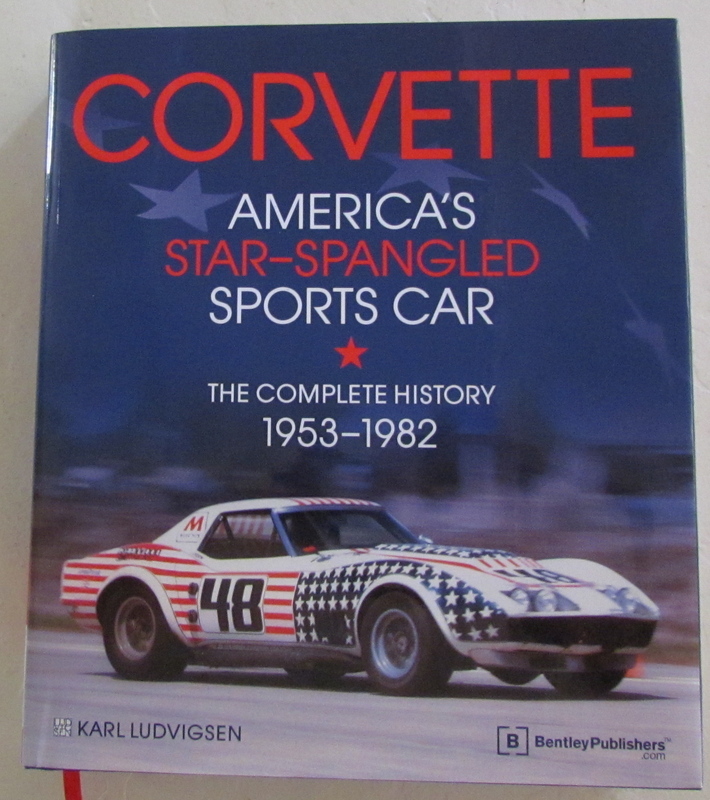 In 1973, Karl Ludvigsen wrote the Star-Spangled Sports Car, a ground-breaking history of a single automotive model, the Chevrolet Corvette. Four years later, the man with an engineering degree from MIT and an industrial design degree from Pratt Institute in New York City, wrote Porsche: Excellence Was Expected. Ever since — and there have been another 40 or so books since those — Ludvigsen has been acknowledged as the dean of automotive historians. Now, some 40 years after his original Corvette book, Ludvigsen has, as publisher Bentley puts it, “revised, reorganized and expanded” his original work into a 784-page, large-format, heavyweight of a book with nearly a thousand photos, illustrations and diagrams to provide a volume that lives up to its cover promise of providing “the complete history” of America’s sports car from its conception through its 1982 model year and the close of what we now call the C3 or third-generation version of the car. 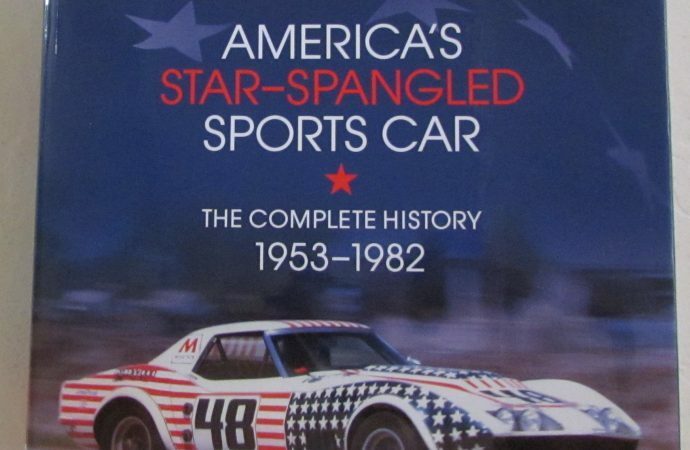 I make it a practice not to write a book review until I’ve read the entire book, but in the case of Corvette — America’s Star-Spangled Sports Car, I’m making an exception, for a couple of reasons. One reason is that I’ve had the book for more than two months and am only through Chapter 6, which means I have 42 more to go. However, my slow-going should not be seen as any sort of criticism of Ludvigsen’s work. Rather, it’s that his research is so thorough (and his writing so clear) that even the most knowledgeable of Corvette enthusiasts will find so much new information to absorb that you’ll either put the rest of your life on hold for a couple of weeks or however long it takes you to go from cover to cover or, like me, you’ll work slowly but happily through the pages. The primary reason I’m writing this now rather than when I finish is that the holidays are coming and if there’s a Corvette enthusiast in your life and on your list, this is what they’ll want so you’d better be saving your nickels and dimes — and dollars — because the cover price is $149.95. If that sounds like a lot, you don’t have a college-age child buying text books. But $149.95 doesn’t seem out of line when you consider the depth and detail — and the photography — Ludvigsen shares as he shares the story of America’s sports car. I thought I did a lot of research on the Corvette’s conception and birthing when I wrote a book last year on the development of the new and seventh-generation Corvette. But as I read Ludvigsen’s early chapters, I learned something new not just on every page, but with seemingly every paragraph. I’m not sure how long it will take me to finish reading this book — I have a few others stacked up that I also need to read and review — but regardless of how long it might take, I know I’m going to enjoy the ride.